Wondering if your saddle is right for your horse? The saddle must offer maximum comfort to all riders so that they can fully focus on riding. Here are some tips that will help you to check if the saddle you just bought is really suitable for your horse. You can also call a saddle fitter, whose job is to check if the saddles are adapted to the horses by relying on some measures. Several elements must indeed be taken into account. This is the first point to check. He must be honest and not be broken. Normally, if you pull your saddle towards you, it should not bend. If so, it's sure your pommel is broken. It may cause injury to the horse. If the pommel is too flexible, it can also hurt your horse. To dress up properly your horse, you can turn to horse riding specialists such as equitack which offers several sizes and many models of pommel. 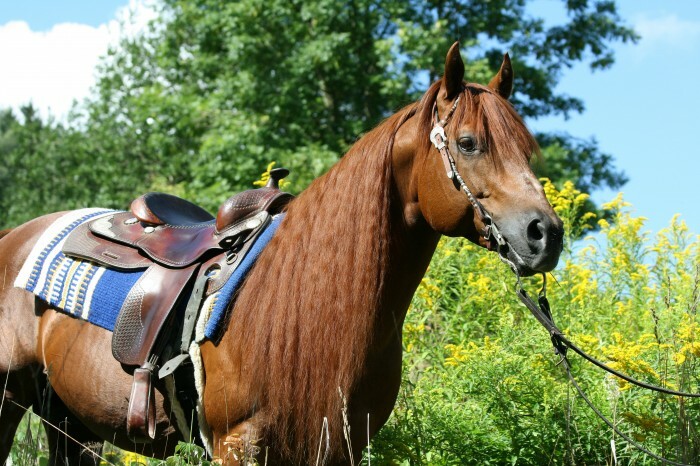 An unsuitable seat may also cause pain to the horse, which will carry some of the weight of his rider on the kidneys. Similarly, as a rider, you will also be dealing with a bad position that will inevitably lead to pain in the pubic area. Thus, the size of your seat must be adapted to your body, neither too big nor too small. You usually have a choice of padding stuffed with wool or foam. Padding also helps to balance the saddle. However, they must be uniform over their entire surface in order to clear the horse's spine. But they must be big enough. A good saddle must not touch the vertebrae of the horse, either on top or on the sides. It must not touch the shoulders to avoid blocking the horse's movements. Do not hesitate to ask the advice of a saddle fitter to be completely sure that your saddle is suitable for your horse.